This simple exercise only takes 5 minutes – and when practiced for just one week, it has been shown to improve happiness up to 6 months later. There is scientific research behind it that shows it improves one’s life for the better. 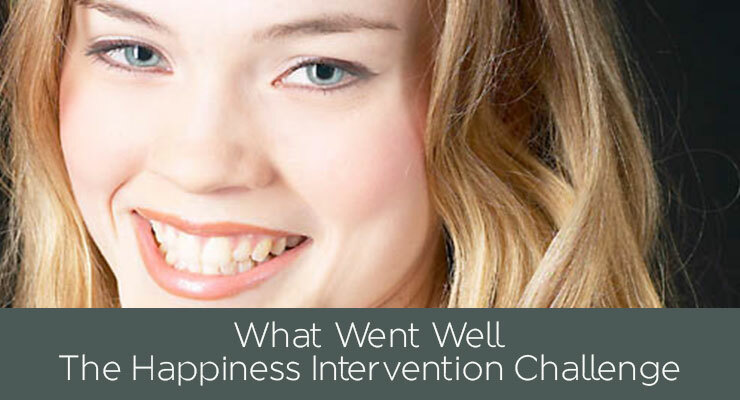 This ” What Went Well, the Happiness Intervention,’ is based on Martin Seligman’s work, who is the father of Positive Psychology. 1. At the end of today, sit down with your journal, iPhone or any piece of paper. Write down 3 things that went well during your day and why. You might write that you had a nice visit with a girlfriend, or that you had fun singing the latest will.i.am song with your child. 2. Repeat this every night for one week. That’s it. Simple, right? But the data from Professor Seligman shows that when you do this for one week, it raises your happiness levels. Happiness stays with you — people in his study were still happier 6 months later! So… what went well today?